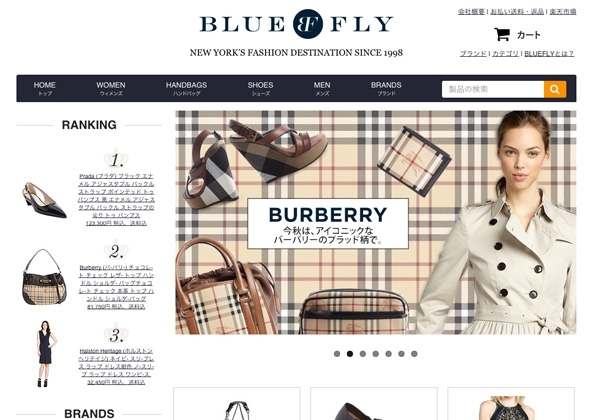 Bluefly is one of the leading online retailers of fashion goods in the US, and in the Top 500 online retailers. 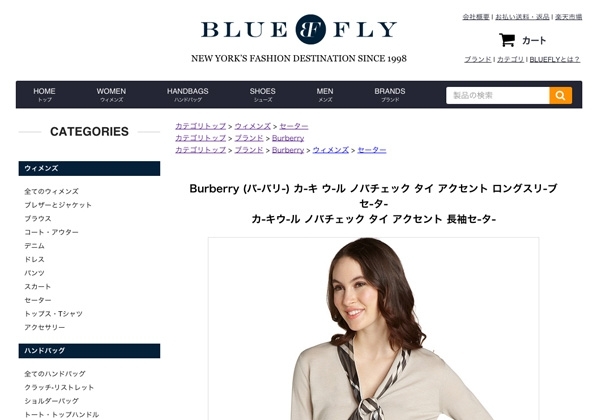 Moving into the Japanese e-commerce marketing, Bluefly worked with US e-commerce agency BorderJump to localise their catalog and set up business on Japan's largest online marketplace Rakuten. Rain as a partner of BorderJump were called in on a technical, marketing and advisory capacity to launch a store with over 20,000 SKUs and initially over 9000 product images through the Rakuten platform. 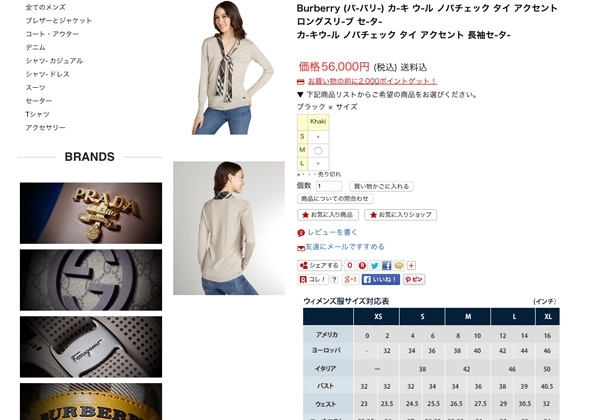 On a technical level Rakuten's platform has its own challenges for design and functionality. Rain worked with Borderjump to develop ways in which custom functionality could be implement within the limitations of the platform both in store management and front end display. 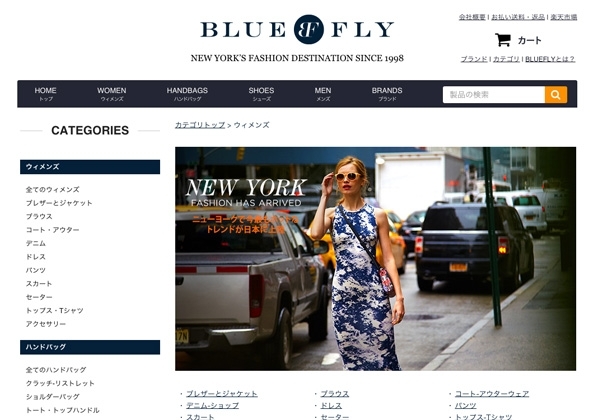 On a marketing level it was very important for Bluefly to understand the Japanese aesthetic and expectations of a Rakuten store. While the design and appearance may not match or make sense to them in context of the US store, Rakuten stores look like they do for a reason and follow specific cultural conventions. By explaining this, Rain were able to design a store that blended with Bluefly's brand identity and also remain attractive and appropriate to the local consumers. Rain also was able to offer further services to Bluefly through Borderjump for domestic e-commerce Rakuten experts and store managers whose knowledge and experience is invaluable when entering a foreign market and running a store in a highly competitive and sophisticated market. 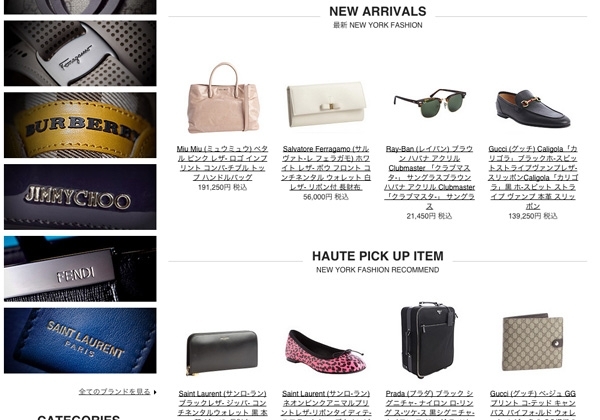 With a huge inventory and tight timeline to launch, Rain was praised for the miracle of launching in time for their target to meet Rakuten's Super Sale. While our dedication to helping clients meet deadlines is part of Rain's service we are always happy to having that recognised.